Welcome back to our book study! This week we read chapters 3 & 4. Check out my answers to this week's questions, below. I am sure the list could go on, but I will end with those. I can see my toolkit expanding throughout the year, depending on what we are covering for our curriculum. As far as the students having toolkits, I saw an idea on Pinterest. 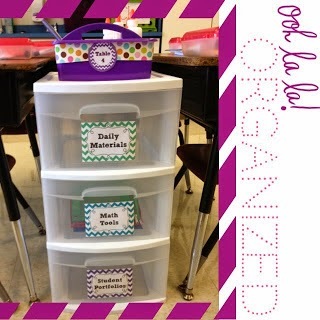 This teacher has 3 drawer containers and has a drawer specifically for math tools. I like this idea of having the tools they need in the drawer, so they know exactly where to find them! I think I am also going to do the same with their science materials! I think they will need a lot of the same things that I keep in my teacher toolkit. As any teacher will/should tell you, establishing routines is important starting on Day 1. I can see establishing guided math time the same as Daily 5. It is important to go over what the students should be doing and what the teacher will be doing. (Perfect time to create a T Chart!) I would like to start my math block with the math meeting that I mentioned in my post last week! Then we dismiss into our rotations. Obviously, the first day/weeks it is going to be important to teach them how to work in pairs, individually, and with me. We will use the same chimes as we will be using during Daily 5. This should make it an easy transition for the students. I am all about using my Smart Board, so I think we will display our rotations in that manner! As I stated in my last post, I am transitioning from the media center to a 4th grade classroom. I am planning on meeting with students in small groups for math and reading. I think this will help the students be better learners, especially if I can adjust lessons to meet their needs. We have a 45 minute math block, so hopefully I will be able to meet with 2 groups per day! The groups will be very fluid! They will be constantly changing depending upon the needs of the students and assessments! How often will depend upon the material being covered! Thinking about the kinds of records that I will keep, I will keep a pencil/paper running record. 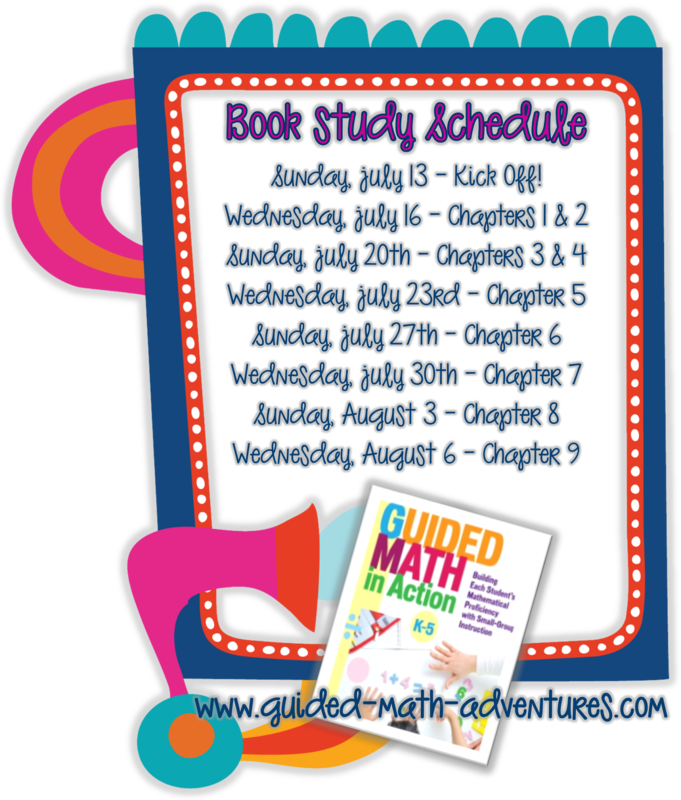 I found a great resource on TPT for a Guided Math binder! I LOVE BINDERS! I am all about purchasing other teachers already made resources as this point, until I get through my first year in the classroom. Then, I can work on resources for future years, when I know more specifically what I want!